Smart rings have been in development for years. But only recently have a number of brands emerged that have created smart rings that look good, feel good and pack useful tech into such a tiny form factor. Put simply, a smart ring is a ring that’s got some kind of tech built into it, whether that’s an NFC chip or sensors, like an optical heart rate monitor or accelerometer. Most of them can also sync up to your smartphone via Bluetooth, enabling you to find out more about the data they’re collecting. However, just because a device is called a smart ring doesn’t mean it’s necessarily packed with tech. A number of different smart rings are currently on the market. Some smart rings track your sleep, activity, pulse rate and more, costing £270 ($352 / £497AUD) and beyond. Others have only an NFC chip on-board to unlock things and will only set you back £9.99 ($13 / $18AUD). Those that have been interested in wearable tech for some time will know that smart rings aren’t new, far from it. Over the past ten years, a number of companies and startups have emerged claiming to be creating smart rings that’ll revolutionize the way we work and play. However, many of those came up against funding issues, design problems and tech challenges. At one point it felt like no companies would be able to create a smart ring with useful tech inside it that also looked good, felt comfortable and didn’t cost lots. But over the past few years, a number of brands have proven smart rings aren’t only possible, but they might give smartwatches and other wrist-bound wearables a run for their money in the future. Let’s take a look at how smart rings are made, why they’re great and not-so-great, and which models we think you should try if you’re ready to put a ring on it, so to speak. Rewind to the earlier days of wearable technology and smart rings were considered just as exciting, and potentially life-changing, as smartwatches. A number of startups claimed to be making the ultimate smart ring, including Fin, Altruis, Smarty Ring, Nod, Mota’s Smart Ring and many more. A lot of these startups even secured funding and began creating smart ring prototypes. But fast-forward to the present day and there are more stories of failure than success. Many of the companies behind these bold ideas ran into a number of issues, including legal disputes. But financial problems and legal challenges aside, it’s not hard to figure out why many smart rings never materialized: they’re difficult to make. Packing sensors, an NFC chip, Bluetooth capabilities, a battery and more into a small space that also looks and feels great is bound to lead to technical problems and a lot of compromises. In recent years tech has advanced to a point where ticking those boxes has proved to be possible. For the purpose of breaking down the construction of a smart ring, let’s take a look at the Oura Ring. It consists of four different sensors, an infrared optical pulse measurement to read your pulse, a 3D accelerometer to detect movement, a gyroscope to detect movement and balance and a body temperature sensor. It also has a battery on-board and a microcontroller. That tech is fitted between a titanium and diamond-like carbon coating (DLC) on the outside and a non-allergenic, non-metallic, seamless molding on the inside. But not all smart rings are packed full of so much tech. The new OPN Ring from NFC Ring is made from hypoallergenic ceramic and contains an antenna and NFC chip, which can be used to unlock devices and digital door locks. As well as a lot of considerations going into the tech inside a smart ring, such a small form factor requires a lot of extra work when it comes to design. There are a lot of things to consider when it comes to smart rings that are less of a concern with other wearables, the main being sizing. When you buy a tracker from Fitbit or Garmin there are options to tighten straps, switch them out or buy your own. 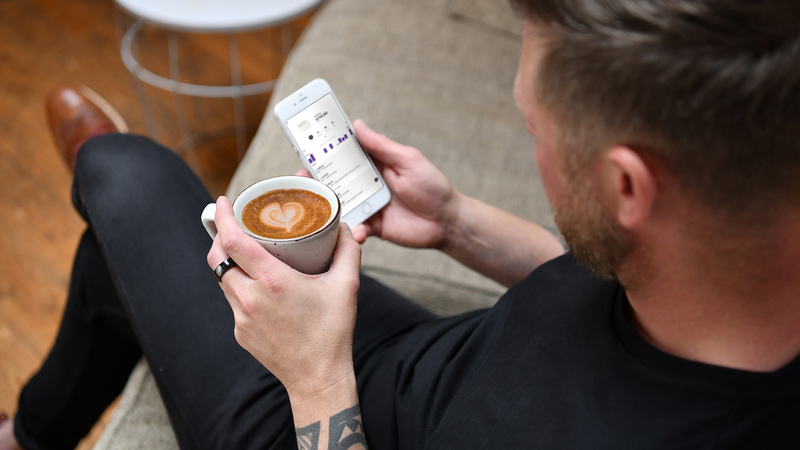 With a smart ring, things aren’t so simple. Not everyone’s fingers are the same size and once you’ve got a smart ring, you can’t adjust it yourself. The only option is to provide wannabe users with a sizing kit before they buy. This may sound annoying, but the experience we’ve had with both the Motiv and Oura sizing kits has been simple. You order a kit, try on a selection of plastic rings in different sizes and then go to the respective website and fill in the details. The key here is to wear the plastic demo rings for a day at a time because your fingers tend to swell throughout the day. It’s also important to try the ring on multiple fingers. Some people prefer to wear a smart ring on their middle finger or ring finger, whereas some people find they can only wear a smart ring on their index finger. Receiving a sizing kit before you make a purchase does add friction to the buying process. But it’s a necessary evil to make sure you get the right one, it works over time and you’re selecting it for the right finger. It’s difficult to say why smart rings as a whole category are worthwhile because the different rings available right now do such different things. Some brands have really got it right when it comes to tracking. Both Motiv and Oura have created slim rings packed with sensors that don’t feel like pieces of technology but are able to track most of the same metrics as a device like the Fitbit Versa. Both Motiv and Oura shout about their sleep tracking smarts. They both do a great job and it’s really good to be able to wear a ring to track sleep. Most other sleep tracking devices need to be worn around your wrist and even the most comfortable of trackers can get annoying at night. We’re wary about claiming a piece of tech could make us all less reliant on tech, but there’s an argument that smart rings are useful because they enable us to switch off from screens. With a smart ring, you don’t need to check your phone, look at a smartwatch screen or see your step count rise every few minutes to get the benefits of tracking what you’re doing. Some may find this helps with digital detox-ing. Of course, others may find it does the exact opposite. Because smart rings don’t have a screen, they tend to need charging less frequently. 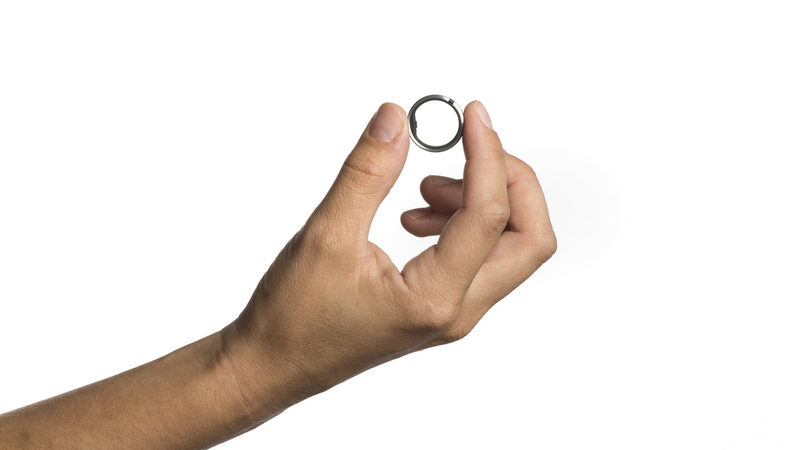 For example, the Oura Ring lasts around five days on a single charge. This is good news for anyone who has been tempted by smartwatches but can’t bear the thought of having to charge them up every single night. Despite the fact it’s difficult to get the design of a smart ring right, most of the rings we recommend have created devices that look simple and subtle (and dare we say stylish? ), fit flush against your finger and have use hypo-allergenic materials. Advances in design mean most smart rings are comfortable, don’t get in the way and won’t irritate your skin. This is obviously a consideration for all wearables, but smart rings really are designed for 24/7 use, so they need to walk the walk. If you’re interested in using a smart ring for contactless payments, then it’s easy to see the benefits. 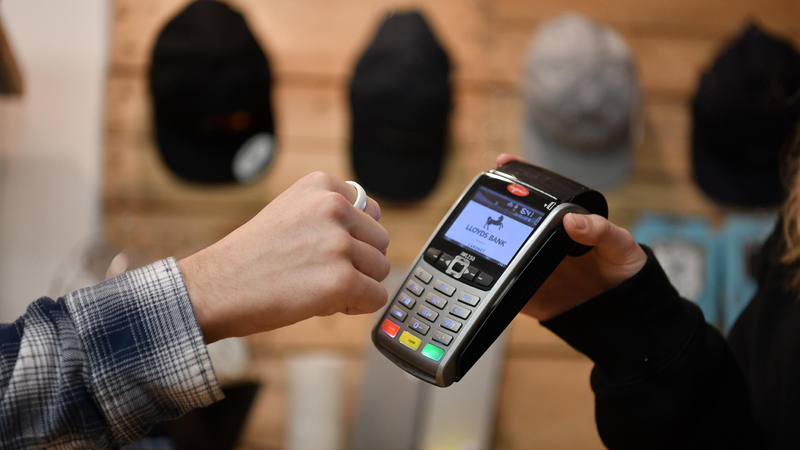 Even though we now have contactless cards and keyrings and smartwatches that can handle these kinds of payments, a way to pay on your finger seems to be the most frictionless answer. Although only currently available in the UK, the McLear Ring is a fuss-free payment ring that looks subtle and doesn’t need charging. It just handles payments, and it handles them well. What are the negatives of smart rings? Because there are lots of design challenges when it comes to making a capable smart ring, you pay a premium to own one. Especially those that can track all kinds of metrics. The Motiv Ring costs from $199.99 (£153 / $282.10AUD) and the Oura Ring costs from €314 (£270 / $352 / $497AUD). However, that’s not necessarily the case for simpler smart rings that do just one thing well. 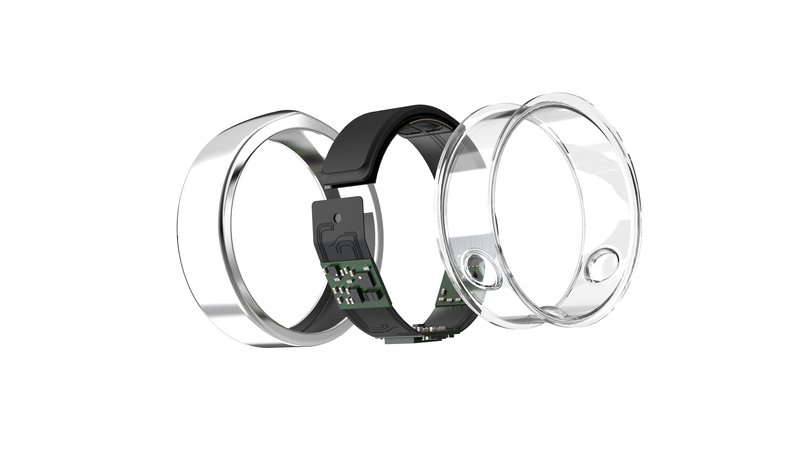 For example, the McLear contactless payment ring costs £129 ($168 / $237.45AUD) and rings in the NFC Ring range, which can unlock your phone, store data and open your door start at as little as £9.99 ($13 / $18.38AUD). But the main drawback is they’re not for everyone. Although many people already wear rings, smart rings are a little bulkier than a simple wedding band. That means they’re bound to irritate some people when it comes to design. In terms of functionality, they’re not smartwatches. If you want continuous tracking while you go about your day, a smart ring might be for you. But if you’ve been toying with the idea of a smartwatch and want notifications, or to see stats in real-time without looking at your phone, or to have apps, a smart ring won’t suit you – and the prices are too high to take a risk right now. The same goes for your top priorities. 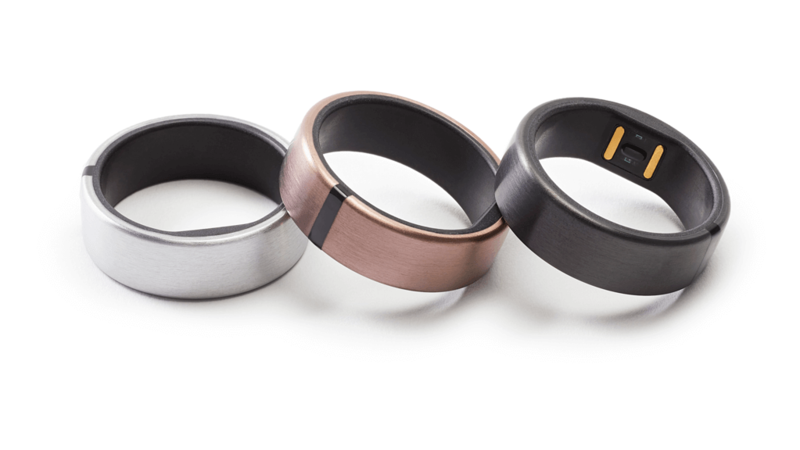 If you’re interested in sleep, both the Oura and Motiv rings are fantastic sleep trackers. But although both also keep tabs on fitness too, they’re not as capable as a device built with fitness in mind, like Garmin’s sports watches or the Fitbit Ionic and Charge 3. It really all comes down to a matter of taste and what matters to you. Which smart rings do we recommend? Due to many of the tech and design challenges involved in making smart rings, there aren’t currently a huge range to choose from. At least not as many as there are wrist-based trackers, smartwatches and fitness devices. Admittedly, there are quite a few available through Amazon that claim to have NFC smarts built-in, but we haven’t had chance to test many of these yet so we’re apprehensive about how useful they are. So with that in mind, where should you begin? 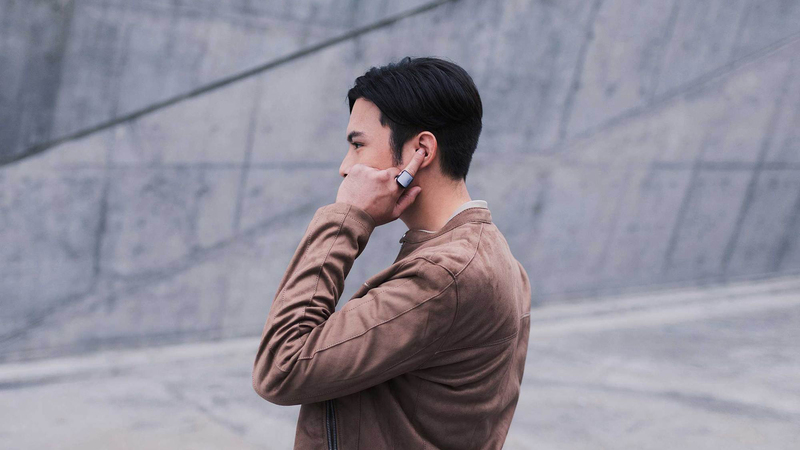 If you’re looking for a smart ring that will track a range of metrics, and look good while you’re wearing it all day and night, two main brands emerge as the best in the space: the Oura Ring and the Motiv Ring. The Oura Ring is a high-end smart ring option that currently retails from €314 to €1049 (around £270 to £903 / $352 to $1178 / $497AUD to $1662AUD) depending on which model you go for. It’s packed with sensors that can track a whole host of metrics, including your activity, pulse, steps, sleep and body temperature. You can charge the Oura Ring by placing it on its accompanying plinth, which connects to a power source via USB. Once charged, it boasts a whole week of battery power. Design-wise, it looks fantastic for a piece of smart tech. It comes in silver, black and matte black finishes in three styles: one with a ridge on top (balance), one with a flat top (heritage) and one with five little diamonds on top (balance diamond). It’s 7.9mm wide and 2.55mm thick, weighing in between 4 and 6 grams depending on the model you opt for. It’s made from a titanium and diamond-like carbon coating (DLC) and has a non-allergenic molding on the inside to avoid irritation. Like many other smart rings that have emerged in recent years, the Oura Ring started life on Kickstarter where it raised a lot of money to turn the smart ring dreams into a fantastic little product. It’s already gained a huge following in tech circles and it made headlines in late 2018 when Prince Harry was spotted wearing one. 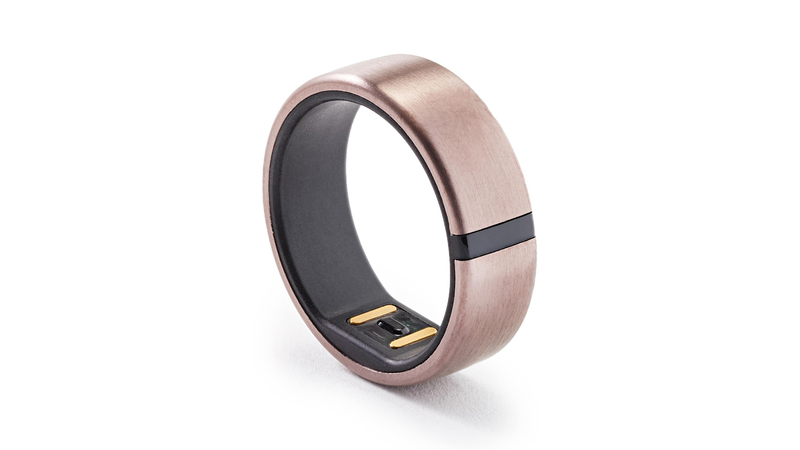 Another smart ring favorite is the Motiv Ring, which costs $199.99 (£153 / $282.10AUD). Like the Oura Ring, the Motiv Ring looks really good. It’s had a few iterations over the past few years but the latest is its best yet: it’s subtle but stylish. It’s 8mm wide and comes in rose gold, slate grey and titanium finishes with a small black line across the top. It’s wrapped in a titanium shell and it’s waterproof to 50 meters / 5 ATMs. Tracking-wise, it’ll keep tabs on your activity, steps, sleep and offers continuous heart rate tracking. The company has also recently announced it’ll add a host of security features to new rings, which mean you can open accounts with gestures. It has a three day battery life and comes with a very neat little charging dock that’s super slim, can live on your keychain and slots into any USB port to juice the ring back up to full strength within 90 minutes. But they aren’t the only players in the game. A number of smart rings have also been launched recently, many of which try to do one or two things really well rather than be all-singing, all-dancing trackers like the two above. 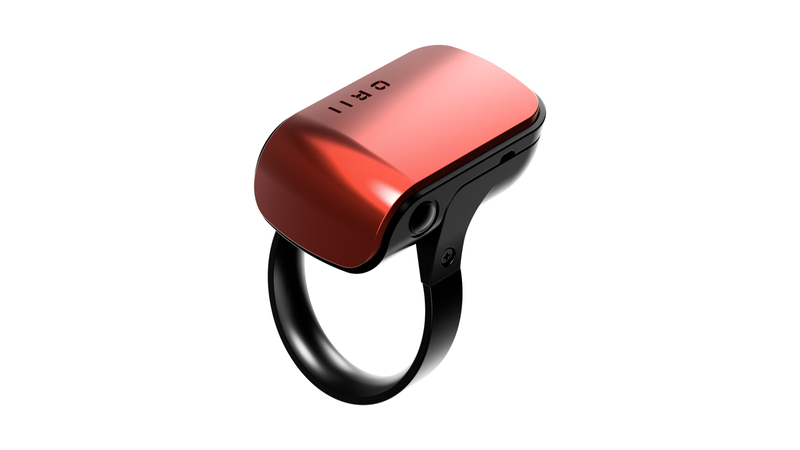 The ORII Ring has been in development for some time and promises to be like a smartphone on your finger, allowing you to send messages, make calls and use a voice assistant from your finger. It’s hard to say whether this idea will catch on – or whether anyone really needs a smartphone on their finger. But it’s interesting to see another smart use case for a smart ring. We’ve already mentioned the McLear Ring, £129 ($168 / $237.45AUD), which is a simple payment ring that looks subtle and doesn’t need charging. You can easily add your bank cards to it and an accompanying app lets you keep tabs on your spending. NFC Ring has a number of smart ring models for as little as £9.99 ($13 / $18AUD). 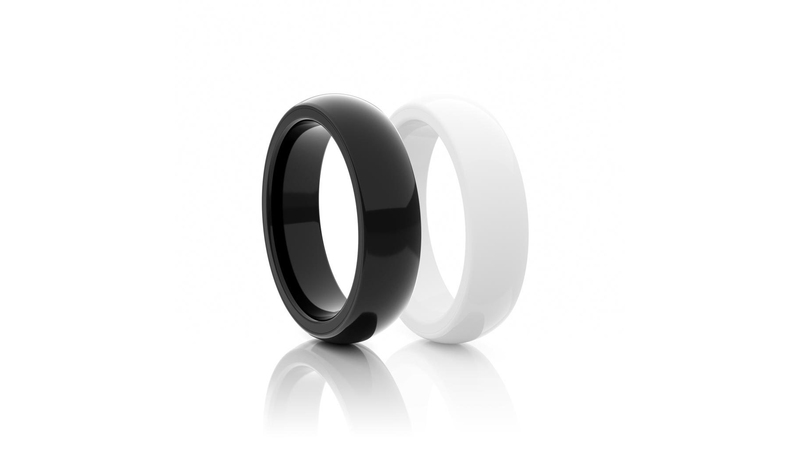 The new OPN Ring from NFC Ring is made from hypoallergenic ceramic and contains an antenna and NFC chip, which can be used to unlock devices and digital door locks. It’s hard to predict how the smart ring space will progress in the future. We expect that now the tech and design is catching up with the demands of a small, functional smart ring that more brands will emerge – especially those that aim to provide niche uses. However, it could also be the case that the brands we consider best-in-class now, mostly the Oura Ring and the Motiv Ring, will continue to lead and leave the competition lagging behind considering they’re offering such great-looking and robust options. Not convinced by smart ring tech? Then stick with what you know and check out our selection of the best smartwatch 2019 instead.